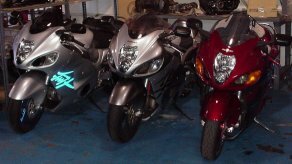 The Suzuki Hayabusa GSX1300R has set the new standard for high performance, even in stock trim. As such, it has also become the bike to modify. POWERHOUSE has made the Hayabusa one of its specialties, and continues to build them in a variety of configurations. 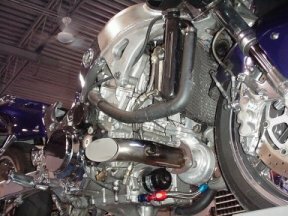 Whether its a pipe and Powercommander, or a big block and cams, we can build it, dyno-tune it, and help you get the most out of your investment. Images above are thumbnails. Click for a better view. 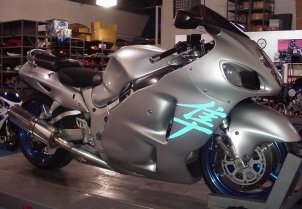 Of the many modifications we have made, TURBOCHARGING the Hayabusa continues to be a customer favorite. Entry-level street kits, or assault-weapons for the quarter mile - its your choice. We have built and tuned Mr. Turbo, Hahn Racecraft, MC Express, RCC Turbos and Velocity Racing turbo kits. 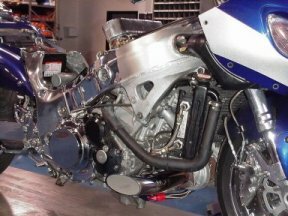 The HAHN RACECRAFT STAGE ONE turbo 'busa continues to be the best value as an entry-level turbo kit. This kit can be installed on a completely stock motor, and is quite capable of producing 240 rear wheel horsepower ON PUMP GAS! Completely reliable and driveable - a bike you will be able to drive every day, everywhere. With the addition of a boost controller and some good fuel, the very same setup will produce 300 rear wheel horse. 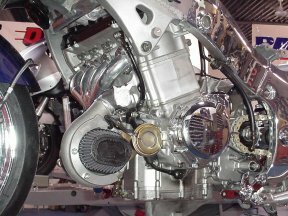 And we can do this for less money than it would cost to build that big gas motor you were thinking about, which would also make less horsepower. 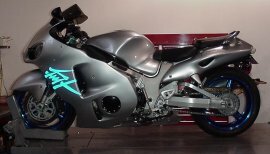 This next bike makes over 300 rear wheel horsepower (RWHP) and is as quiet as a stock 'Busa . . . it uses a Hahn Racecraft Stage One Turbo kit. Images are thumbnails. Click for a better view. 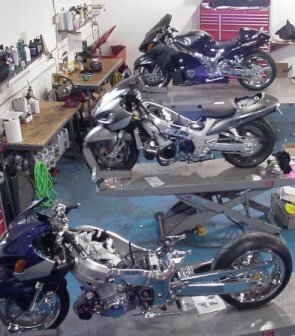 © 2004-2012 - All images and content on this site copyright of Powerhouse Motorcycles New York. 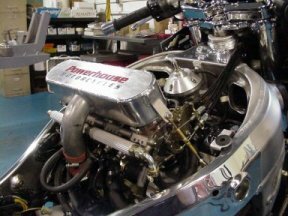 Unauthorized use of these images or content without written permission of Powerhouse Motorcycles New York is an infringement of copyright law and will result in legal action.